I am the EMEA channel & alliances director for Enterasys Networks. Most of my time is spent with partners and customers talking about networking technology and evangelising about our company and products. A number of reasons. I have a huge amount of experience, having been in networking for almost 30 years, as an end user as well as a vendor. I have a technical background and a sound understanding of networking technology and current IT trends, which is important from a credibility standpoint. But most importantly, because I am a people-oriented person, I like to treat our partners like my best friends, which many of them have become. The mortgage! No seriously, being based from home in Liverpool I travel a lot, so need to be up early most mornings to train, plane or automobile somewhere. Then on the rare days that I do work from home, I have three kids in three schools, so there’s the school run to do. No one individual, I’ve worked with a lot of people over the years, many of them very different characters. I have simply tried to emulate the good practices from the people I liked and even some I didn’t like. It’s an old and well-worn saying, but a guy I worked with who was coming up for retirement used to regularly tell me to “stick close to the coal-face”. It’s advice that I would highly recommend. No matter where your career may take you, it’s important to maintain a grasp on the fundamentals of your business. I hope you like roller coasters, if you choose IT for a career its likely to be a similar sort of experience. You will need to strap yourself in for what seems like a long ride to the top, while you are at the top you may be able to pause for a while and admire the view. But be wary, before you know it you can come hurtling back down to the ground and have to start all over again. Technology changes so quickly these days that you need to be prepared to adapt to those changes, if you don’t like change, steer clear of a job in IT. Great question, the whole world is going mobile and apps are a huge mega-trend. I recently read about a survey that found 47, 000 apps are downloaded every 60 seconds. I think my kids are responsible for a large number of them, every time I pick up my phone they’ve added something else. So I guess the answer is, far too many apps. I’m football mad and an ardent Evertonian. However, my dad was a Liverpool fan, as are my mum and brother. My brother and I continue to have lively football conversations (arguments) whenever we are together. My father got an MBE so I always hoped to replicate that, but let’s be honest, I’ve got no chance. So before I die, I would like to ski backwards down a black run, passing my kids on the way down. Being realistic, there’s not much chance of that happening either but you can always dream. I like to lose myself in crime novels and thrillers, therefore, this is easy. The Da Vinci Code, I started reading it on a Friday evening and stopped when I finished it around 8am the next morning. Anything with Leonardo Di Caprio in it, even his name winds me up. So now I can get to use the word eclectic. I would have Elvis Costello, The Killers, Bob Marley, The Black Keys and Michael Buble. Hopefully something to cater for all moods and situations. Biscuits, either with a cup of tea for dunking, or, chocolate digestives and cold milk, reminds me of supper when I was a kid. 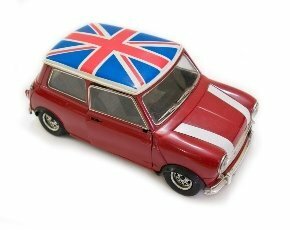 My first car was a very old, royal blue Mini Cooper. Being over 6ft, I just about fitted inside it. It cost £295 and I had so many bumps and scrapes in it, there wasn’t an original part left by the time I sold it. In fact I probably spent more on repairs than I did buying it. The weird thing is, it was so small, it would probably fit inside the current version of a Mini Cooper. I don’t mind being stuck in a lift with anyone. If nothing else I would be able to practice my elevator pitch on them! My brother’s dog – best room in the house, top notch food, three boys to take me walking, throw balls and sticks for me and a classy lady poodle living next door. My dad, the best man I have ever known. A superhuman in the real sense of the word, even if he did support Liverpool. I’m not really a betting person, unless it’s the Grand National. In this case, if the rumble was in the jungle, betting on either one of them would be difficult because you would likely be surrounded by lots of cheetahs.